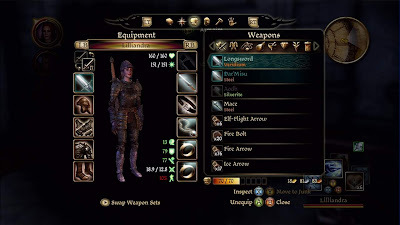 Synopsis: BioWare has recently released their newest RPG, Dragon Age: Origins, and we were lucky enough to get our hands on a review copy to see if it lives up to the hype. You take on the role of a Grey Warden, part of an ancient order of guardians that have defended the lands of Ferelden for centuries. Your mission as one of the last Gray Wardens, is to hunt down the general that betrayed the Wardens and King in battle and bring him to justice. Dragon Age takes place in an enormous world, which BioWare claims takes over 80 hours to fully explore, while your decisions made throughout the game determine the outcome of how the story is to play out. Like Mass Effect and previous entries from this developer, you are able to customize your character before beginning your quest and throughout gameplay and have the ability to choose between multiple races and classes you would like your character to be. Praise: The story in this title is phenomenal, and how the story plays out based on decisions made is nothing less than expected from anyone that has played any of BioWare’s previous titles. The bond formed between almost all of the NPC’s is immediate, whether you feel they would be a strong asset to your party or you think they should die for their actions. 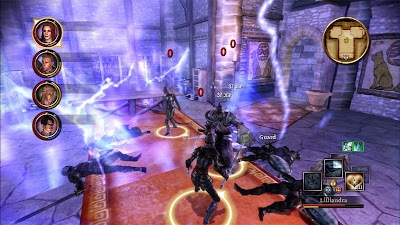 The first couple hours of the game moves at a nice pace to get the player familiar with controls, equipping the right armor and weapons, leveling up your character, and fighting in battle. 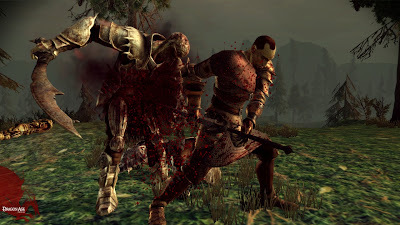 Enemies and bosses do not feel generic as the first time I encounter a dragon or orc, I played it extremely safe and took the battle slowly, after almost immediately being taken out for rushing into battle. Each enemy type seems unique and sometimes incredibly powerful, and sometimes even join your party if you feel the need to spare them. 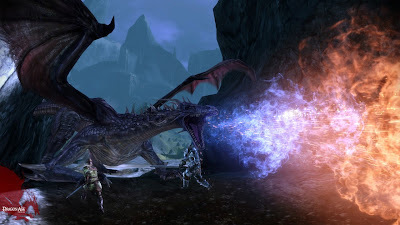 The ability to choose the members in your party adds to the gameplay, as each character has different abilities and interact differently through the story and the player has the ability to take the role of each character at any time during battle and customize individually to your liking. Gripes: Unfortunately, as much as I enjoy anything BioWare, I noticed a couple things that bothered me throughout the many, many hours invested to Dragon Age. The first was the graphics, and I know graphics are not normally an issue when there is a solid story and fun gameplay, but at times it seemed like I was playing on the first gen Xbox. Dialogue was another quirk that got to me at times, when you interact with some characters, you don’t realize the amount of time spent in conversation, however, with others, I noticed myself skipping through what was being said at times, hoping to get into the next battle. Lastly, and probably the smallest issue, is probably the interface, mainly because it takes some getting used to, but even after hours of use and practice, I was still stumbling through the “wheel” trying to find that specific potion or spell. Overall, Dragon Age is a fun game that will get you engrossed into the story, battles, and characters, so well that you won’t realized 15 hours was spent “casually” playing over the weekend. BioWare did a great job targeting fans of the RPG, fantasy, and action genres, leaving few that would not enjoy playing through this title. With the story evolving based on decisions made and the character chosen from the start, this title provides large amounts of replay value. 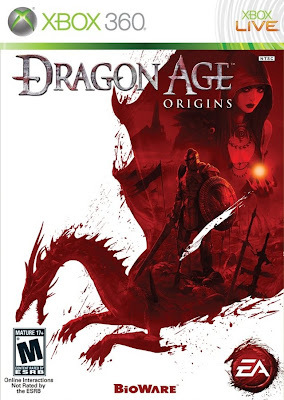 Mashbuttons.com gives Dragon Age Origins an 8 out of 10.